Dungeon Ascendance is a challenging dungeon puzzle game for Android phones and tablets. 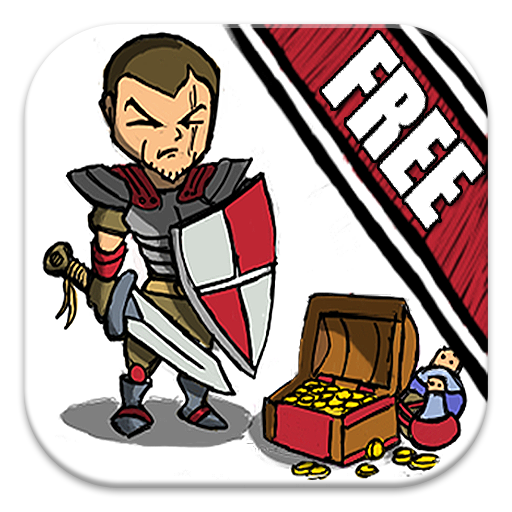 Choose one of ten brave heroes then conquer a dungeon filled with monsters and loot! Use a tactical mixture of abilities, items, spells and cold, hard steel to fight your way to the exit. But beware! The stairs are guarded by a fearsome Dungeon Master who isn't planning on letting you past. The full version features ten class with unique abilities, ten dungeons and a whole lot of tactical rpg-puzzle gameplay. Pro-players can aim for a series of unique achievements, pushing the classes to their limits! The free version is an ad-free taster with full gameplay but only the first five dungeons and classes. Supports: Android 2.1 devices and up. Now also available for Kindle (all generations). Optimised: For all phones & tablets - from the HTC Wildfire up! High fidelity graphics modes for higher-end devices. Get it at Google Play! Now also available at: Amazon App Store! Head over to the Android Market to download the basic version of Dungeon Ascendance! If you enjoy Dungeon Ascendance, why not upgrade to the full version? 15 dungeons - 10 more than the Free version, to test your skills to the limit! Achievements system - unique challenges for strong players!